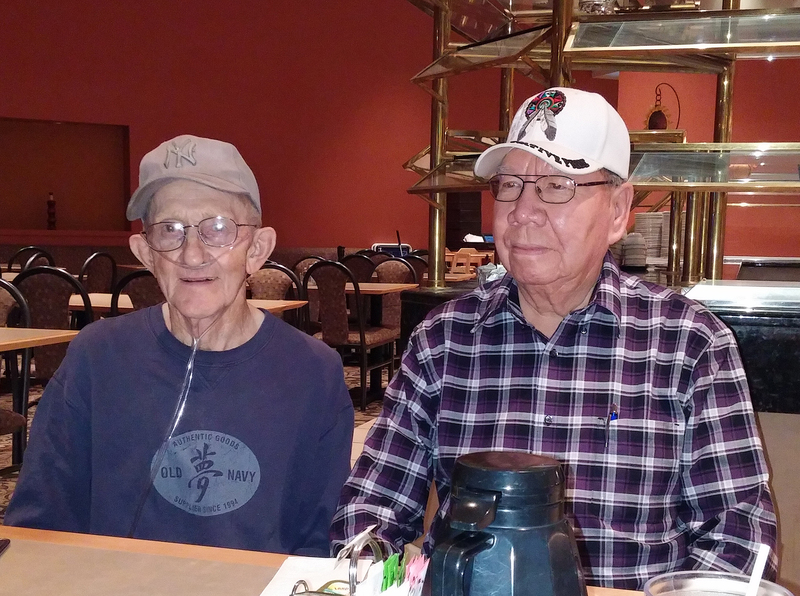 Woven tightly into the fabric of his life, sports and a sense of brotherhood remain close at heart for Dennis, Hospice of the Red River Valley patient. 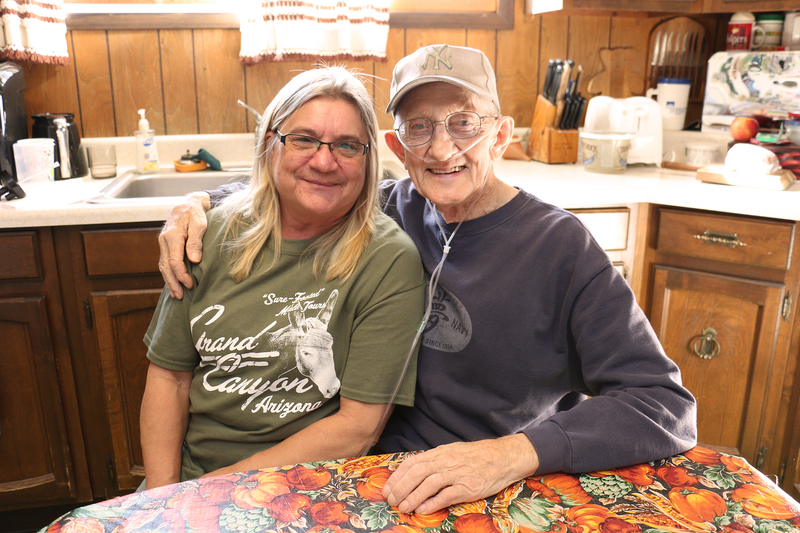 Even with a prognosis of five to six months to live, Dennis and his partner, Cindy, are determined to make the most of the time he has left by living life to the fullest—embracing each precious moment and new experience. 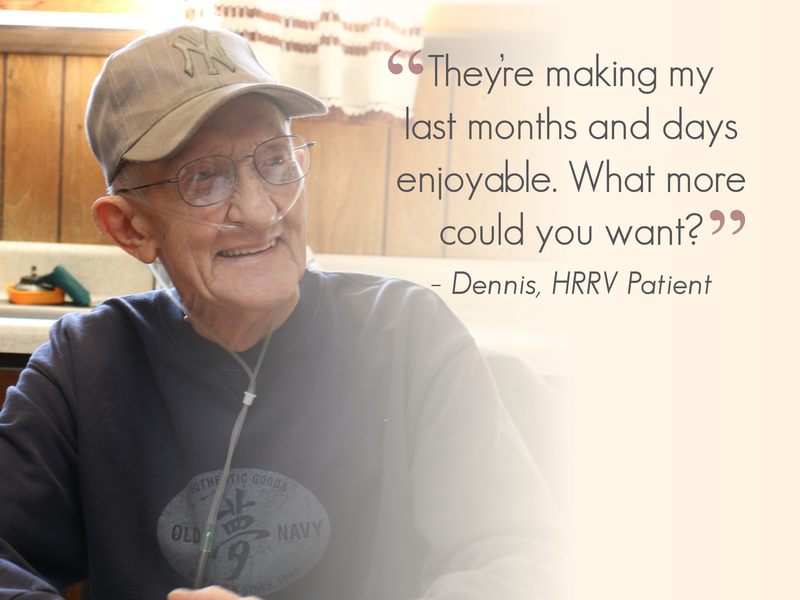 Three weeks ago, complications from a blood transfusion procedure caused by a weak heart led Dennis to hospice care. “He wanted to go home,” Cindy explained. Besides the comfort of his own home, Dennis wanted to spend more time with his family, and have the freedom to go out and about in his small rural town of Walcott. With the assistance of Hospice staff, the past few weeks have been a true blessing, beyond measure, for the couple. Shortly after beginning hospice care, Dennis and Cindy met with Cathy, a Hospice social worker, to determine their needs. Cathy explained that during her first meeting with a patient and family, she always asks the same two questions: “Is there anything you’re worried about? Or is there anything you still want to do?” These questions sparked conversation. 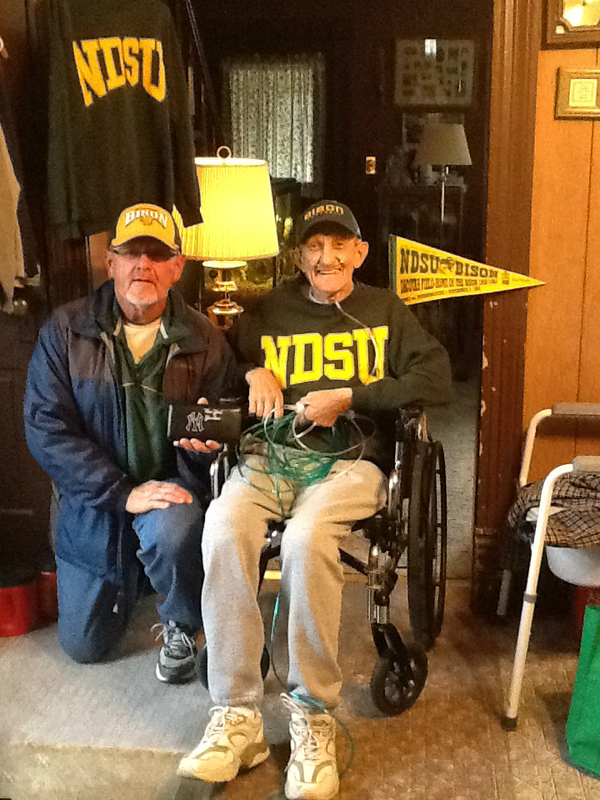 Cathy worked diligently to secure two tickets to North Dakota State University (NDSU) Bison football game and tracked down Dennis’ Army friend, Leo, with some information provided to her by Dennis. 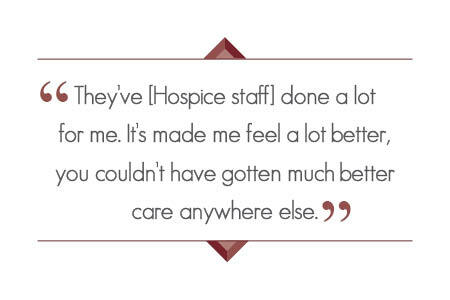 Additionally, Cathy requested a small gift of $150 from the Hospice Institute, which Dennis will receive soon, to help offset travel expenses for the trip to visit his friend. Dennis and his nephew, Rick. Just a week later, accompanied by Cindy and his stepson, Dennis was finally reunited with his friend, Leo, in Watertown, S.D. The pair spent two years together in the U.S. Army, beginning with basic training through air defense schooling, an overseas deployment and finally the ride home on the same bus after their discharge. Although 50 years had separated the two, they recognized each other immediately. Dennis and his Army friend, Leo. Dennis and his partner, Cindy.